We recently stumbled upon the Taipei Twin Towers proposal by MVRDV, and while we’re not exactly experts on Taiwan real estate, we felt compelled to write about this innovative design. 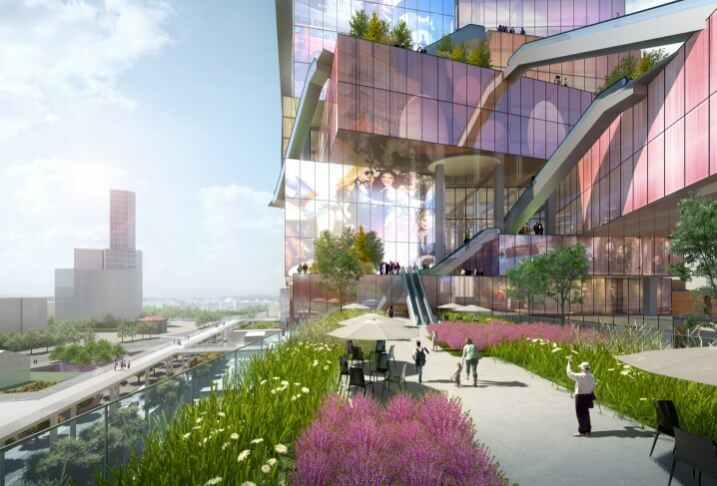 It’s not every day you see renderings for an entirely new type of building. 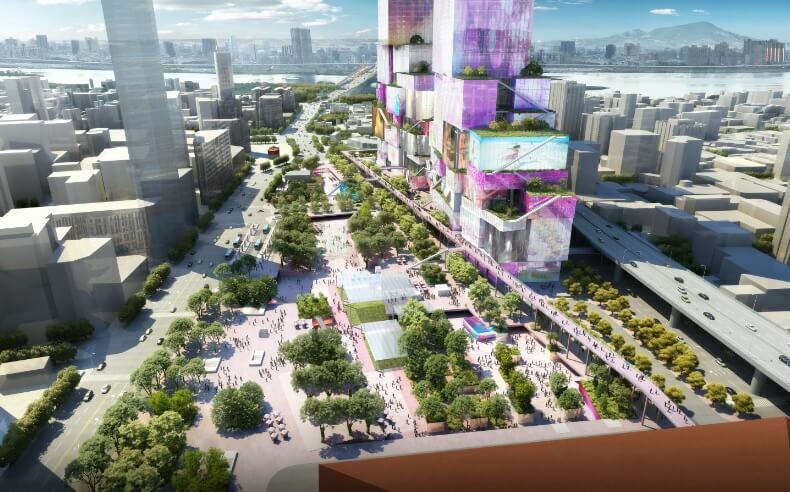 Designed in partnership with CHY Architecture Urban Landscape, MVRDV’s design is proposed for the Main Station site in Zhongzheng District, Taipei, Taiwan. The Main Station is where the railway, airport lines, and metro networks meet. According to MVRDV’s website, there are also many underused parks and plazas around Main Station. It’s pretty obvious why these renderings caught our eye. 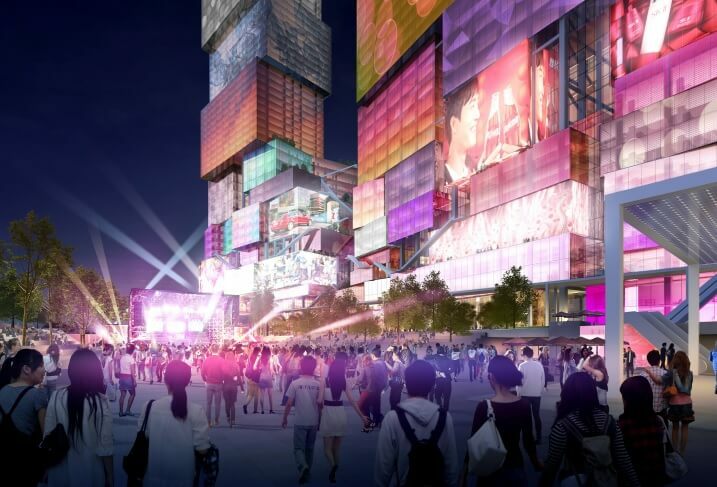 The facades are wrapped in interactive media displays, which will display major cultural spectacles, sporting events, and advertising. It’s like Times Square (or Yonge-Dundas in Toronto), but instead of billboards and giant screens, the whole building is wrapped in digital displays. The giant displays will make the spot a true destination, it will generate revenue for the developer/owner of the property, and will ensure the skyline is always dynamic. 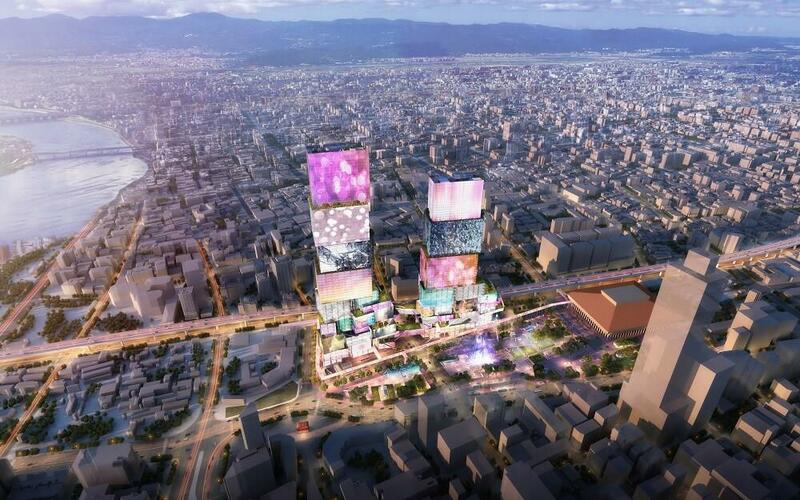 The Taipei Twin Towers will feature retail, office space, two cinemas, and two hotels. The towers will rise 337 and 280 meters. One of the towers will be designed to accommodate “young, trendy travellers,” while the other will be a more luxurious option. It doesn’t look like Taipei Twin Towers has residential space, and there may be a reason for that. Perhaps the media displays make living in these towers uncomfortable. That said, it can’t be that bad if people are staying in hotels and working in the towers. We’re guessing that from the interior, the media displays still allow light to penetrate the facade and you can probably still see outside. Do you think a tower like this would be approved in Toronto? Would you live in a tower that was one giant advertisement? How about if it lowered your condo fees? If the Taipei Twin Towers get built, we’re eager to see if it encourages other developers and architects around the world to explore the possibilities of this technology.